Yesterday was Boxing Day in the United States meaning that it was just another day because, unless you’re British, you don’t pay no never mind to Boxing Day. After 7 years in the UK, we got used to acknowledging the day – as in we didn’t go to work because it is a Bank Holiday. Throughout the years, I’ve tried to convince Gabriella that Boxing Day is more than just another day off work. Boxing Day is a day to celebrate boxes of all kinds, and we should start at home by appreciating each other’s. She was never convinced, and our boxes often remained unexamined and woefully under appreciated. A few years after those first failed attempts, I tried to offer earnest tutelage and explained that historically, Boxing Day in Britain was the day that affluent employers allowed servants to go home the day after Christmas to spend time with their own families. Servants carried home boxes of gifts and Christmas bonuses from their employers. Then, once I hooked her with facts, I tried to explain that it was customary in these modern days to honor those deserving servants who opened their boxes to receive their masters’ gifts. When she dismissed my first suggestion that we reenact those master/servant days, I instructed her to prepare for the recognized tradition of dancing the Box Step while listening to Bach (the singular form of Box, of course) whilst wearing nothing but boxer shorts. Gabriella was neither amused nor impressed, and Boxing Day remained just another day though every year, I try to find a way into her heart and eventually into her box. How did we celebrate Boxing Day this year? Was I able to institute some sort of celebratory ritual worthy of boxes? Did we screw open some box wine and revel in the ancient Roman ritual Box-and-Nail-Ya? Did we act out our personal version of 20,000 Leagues Into Your Box? Nope. This year we played, Boxus Welby, MD or Quarantine 2012, and our rituals included nothing having to do with boxes. Your host was yours truly as I juggled tissue and juice and tea and meds between a mommy with a cold, a child with a cold and another child with a strep infection consisting of fever, body rash, glassy eyes and overall limpitude. The small boy with the horrific infection was most pathetic. Had I exploited him with a video plea requesting a few dollars a month for a bowl of watery gruel a day, I could have made millions. 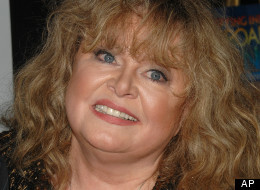 I might have gotten in touch with Sally Struthers to deliver the appeal, but she has been busy with show business and brushes with the law, etc. Better to forego the charity drive when the driver might be under the influence. 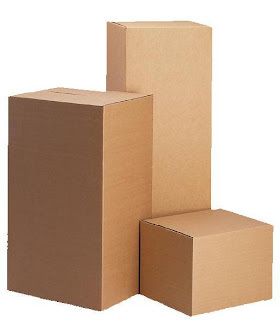 Our holiday season has been riddled with illness, and the plans I had for our boxes, crushed. My English family Boxing Day traditions consist of continuing to eat Christmas Dinner leftovers, eating candy canes off the tree and playing old board games…It’s basically just a continuation of Christmas, but in a more lazy fashion. The Friday after Thanksgiving is much the same. More food. Family. General laziness. But that day is not a Bank Holiday, so not everyone has the day off which, of course, is stupid. Every Bank Holiday should be followed by a lazy sequel. Hope yours was good! Oh the joys of being a student. It’s like everyday is a bank holiday! Boxing Day is also a legal holiday in Canada. The Canadians clearly appreciate boxes as much as I do. I don’t understand boxing day. Never have and likely never will. I am from Kansas – let’s blame that. I shall. I also blame Kansas for your controversial opinions about the Muppets. I’ll be there! Thanks so much for stopping by Kelley.